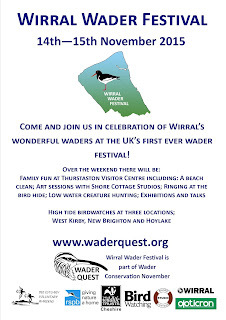 Wader Quest: Wader Quest's Wader Conservation November - Don't forget, make a note in your diary. 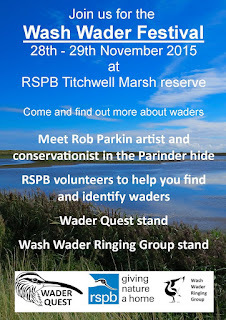 Wader Quest's Wader Conservation November - Don't forget, make a note in your diary. 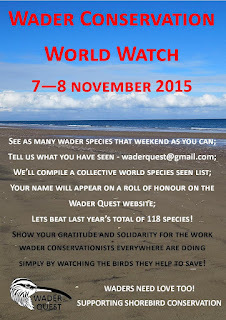 Here are Wader Quest's three big events for this November. Please support us if you can. Remember: Waders need love too! at WWT Martin Mere 21st - 22nd Novemeber 2015.